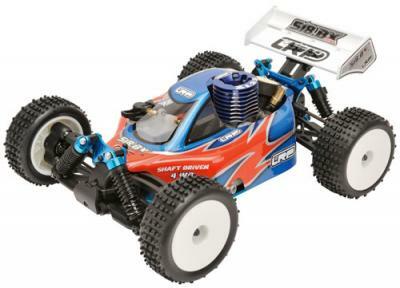 LRP continues to expand its line of 1/18 scale cars with the S18 BX Nitro buggy. This 1/18th scale model combines some great features such as top off road performance and full nitro power into a compact ready to run package. Suitable for use on every surface, either on rough ground, parking lots or on race-tracks, it is supplied with a robust LRP Z1.2S pull start Nitro Engine and comes complete with low friction ball bearings throughout for a smooth and durable 4wd drivetrain. 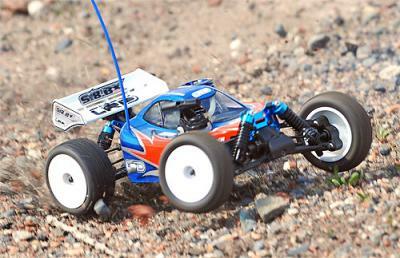 – RTR set including: LRP Z1.2S motor, LRP Phaser Sport 27 MHz AM receiver, LRP A2-STX sport transmitter including charge connector, High performance-high torque LRP XTS-1 steering and throttle servo, AAA battery box and AA transmitter battery.